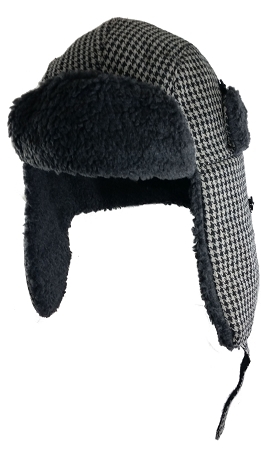 Big Size Winter Tweed Bomber Hat is the warmest big hat we offer. 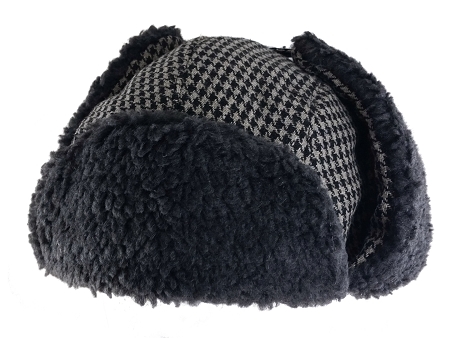 Fleece lining and Sherpa ear flaps are warm and comfortable. The hat fits me just right. My head is about an 8 and it is perfect. I think it would be tight on a size 9 head with no adjustment for size. The quality is great. Hat arrived yesterday. Super warm. Exactly as it is described. I see what people are saying about the chin strap, but I think it is ok as is. I have bought from here before and will continue to do so as the customer service is excellent. Top marks. We recently moved from NE Florida to N. Virginia and discovered something called "cold" and another thing called "snow". 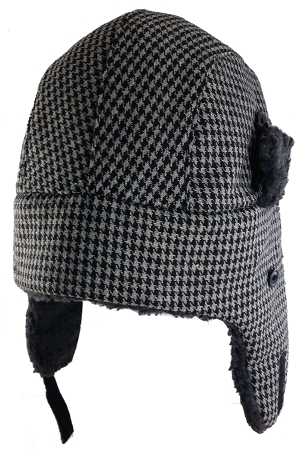 Anyway, this hat is AWESOME for cold weather. My large, bald head has never been more warm. I don't really understand what the tiny ear flaps are for unless they're just decoration (I'm not talking about the big ear flaps). The chin strap is a little uncomfortable and I wish they would've used a drawstring or maybe a more padded chin strap, but overall the hat is so excellent I can't even take a star away for the chin strap. Thanks Big Head Caps -- you came through for me again!